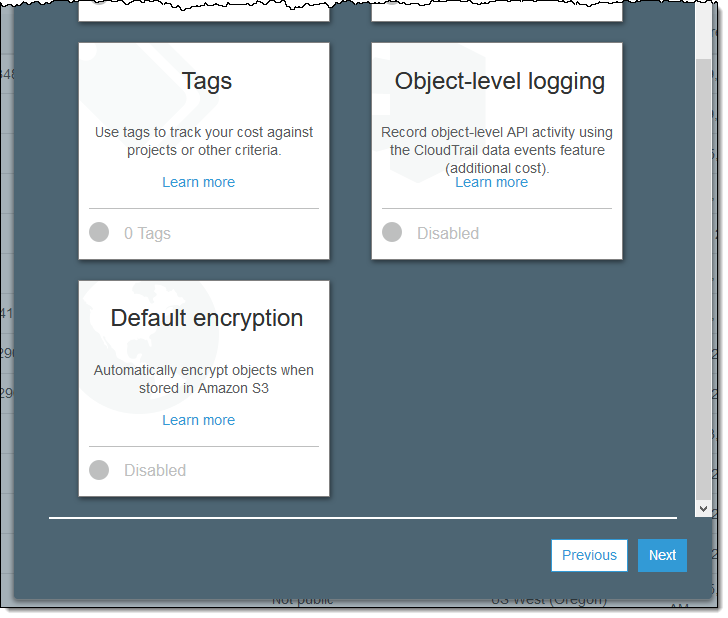 Amazon Macie is a security service that makes it easy for you to discover, classify, and protect sensitive data in Amazon Simple Storage Service (Amazon S3). 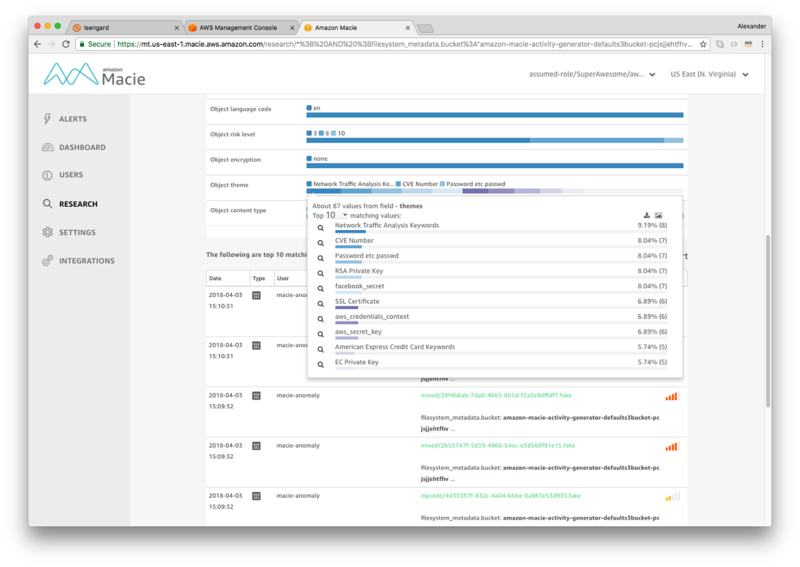 Macie collects AWS CloudTrail events and Amazon S3 metadata such as permissions and content classification. 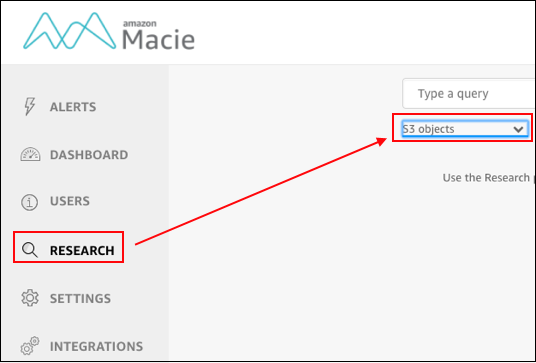 In this post, I’ll show you how to use Amazon Macie to create custom alerts for those data sets to notify you of events and objects of interest. I’ll go through the various types of data you can find in Macie, and talk about how to identify fields that are relevant to a given security use case. What you’ll learn is a method of investigation and alerting that you’ll be able to apply to your own situation. If you’re totally new to Macie, make sure you first head over to the AWS Blog launch post for instructions on how to get started. There are three sources of data found in Macie: CloudTrail events, S3 Bucket metadata, and S3 Object metadata. Each data source is stored separately in its own index. Therefore, when writing queries it’s important to keep fields from different sources in separate queries. Within each data source there are two types of fields: Extracted and Generated. Extracted fields come directly from pre-existing AWS fields associated with that data source. 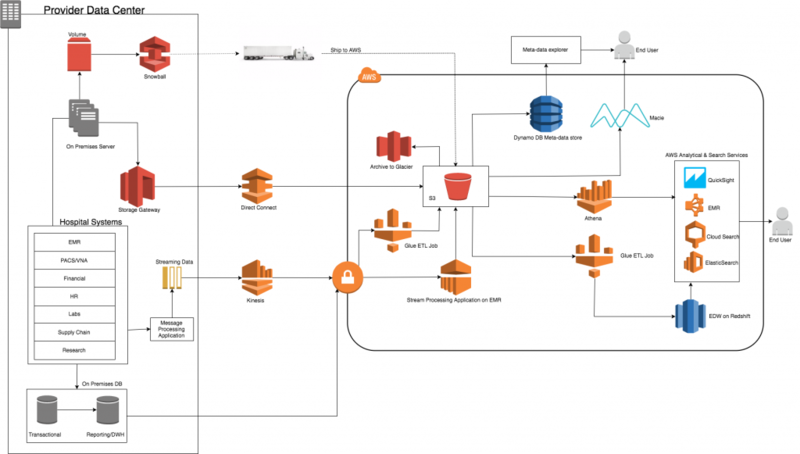 For example, Extracted fields from the CloudTrail data source come directly from the events recorded in the CloudTrail logs that correspond to the actions taken by an IAM user, role, or an AWS service. See these CloudTrail log file examples for more details. Generated fields, on the other hand, are created by Macie. These fields provide additional security value and context for creating more powerful queries. For example, the Internet Service Provider (ISP) field is populated by taking the IP addresses from a CloudTrail event and matching them against a global service provider list. This enables searching for the ISP associated with an API call. In the sections below, I’ll explore each of the three data sources in more detail. There are reference guides in the Macie documentation dedicated to each source that provide an extensive list of fields and descriptions. I’ll use these lists to discover what fields are appropriate for investigating a particular security use case. For the purposes of this post, I’ll choose one particular security use case to focus on. The process of discovering relevant data fields collected by Macie and turning those into custom alerts will be the same for any use case you wish to investigate. With that in mind, let’s choose the theme of sensitive or critical data stored in S3 to explore because it can affect many AWS customers. I’ll use this list to guide my search for relevant fields in the Macie reference documentation. First, I’ll dive into the CloudTrail data. 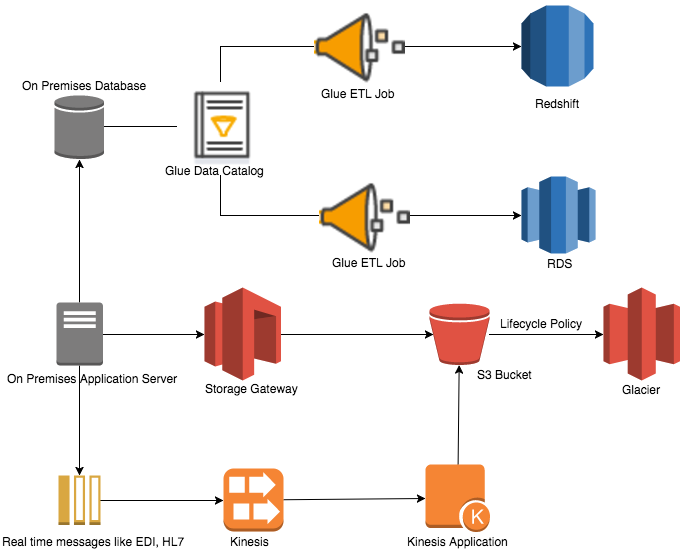 The best way to build an understanding of what activities are happening in your AWS environment is by using the CloudTrail data source because it contains your AWS API calls and the identities that made them. If you’re unfamiliar with CloudTrail, head over to the AWS CloudTrail documentation for more information. Ok, I have a critical S3 bucket and I want to be notified each time an object write is attempted to it outside of the typical access pattern used in my corporate environment. In this case, write actions to the bucket are normally controlled by my organization’s own identity system via federated access. So that means I want to write a query that searches for object write attempts by a non-federated principal. If you’re unfamiliar with what federation is, that’s ok, you can still follow along. If you’re curious about federation, see the IAM Identity Providers and Federation documentation. Next, I take a look at the CloudTrail field names that are extracted from the userIdentity object in an event. The userIdentity.type field looks promising, but I’m unsure what values this field can accept. Using the CloudTrail userIdentity Element documentation as a reference, I look up the type field and see that FederatedUser is listed as one of the values. Now, it’s time to test this query on the Research page and turn it into a custom alert. 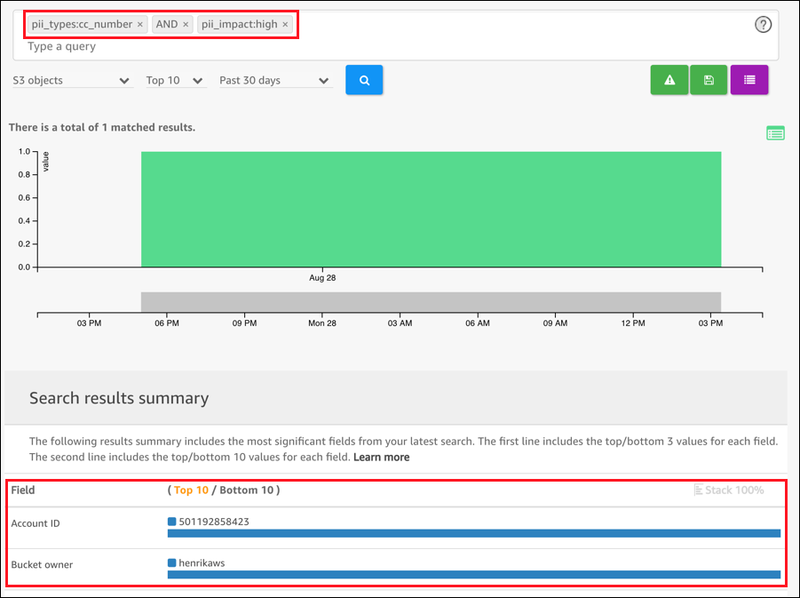 The first step to create a custom alert is to run the proposed query from the Research page. I do this so I can verify that the results match my expectations and to get an idea of how often the alert will occur. Once I’m happy with the query, setting up a custom alert is only a few clicks away. In the Macie navigation pane, select Research. Select the data source matching the query from the options in the drop-down menu. In this case, I select CloudTrail data. To run the search, I copy my custom query, paste it in the query box, and then select Enter. At this point, I verify that the results match my expectations and make any necessary modifications to the query. To learn more about how the features of the Research page can help with verifying and modifying queries, see Using the Macie Research Tab. Once I’m confident in the results, I select the Save query as alert icon. Now, I fill in the remaining fields: Alert title, Description, Min number of matches, and Severity. 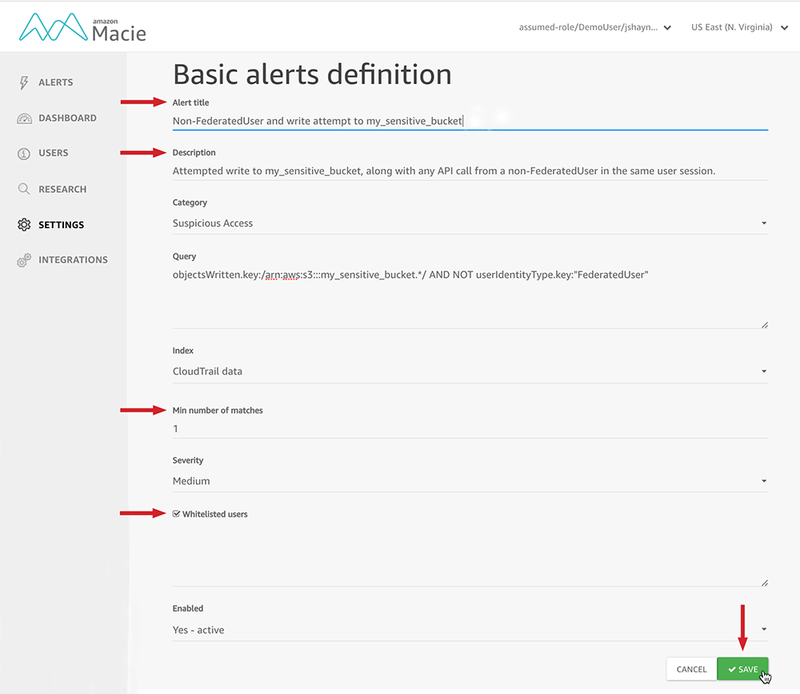 For more information about each of these fields, see Macie Adding New Custom Basic Alerts. In the Whitelisted users field, I add any users which appeared in my Research page results that I would like to exclude from the alert. For more details on this feature, see Whitelisting Users or Buckets for Basic Alerts. Finally, I save the alert. That’s it! I now have a custom basic alert that will alert me every time there’s an attempt to write to my bucket in the same user session as an API call with a userIdentityType other than FederatedUser. Now, I’ll use the S3 object and S3 bucket data sources to look for some more useful fields. The S3 object data source contains fields extracted from S3 API metadata, as well as fields populated by Macie relating to content classification. To expand my search and alerts for sensitive or critical data stored in S3, I’ll look at the S3 Object Data Reference documentation and look for fields that are promising candidates. 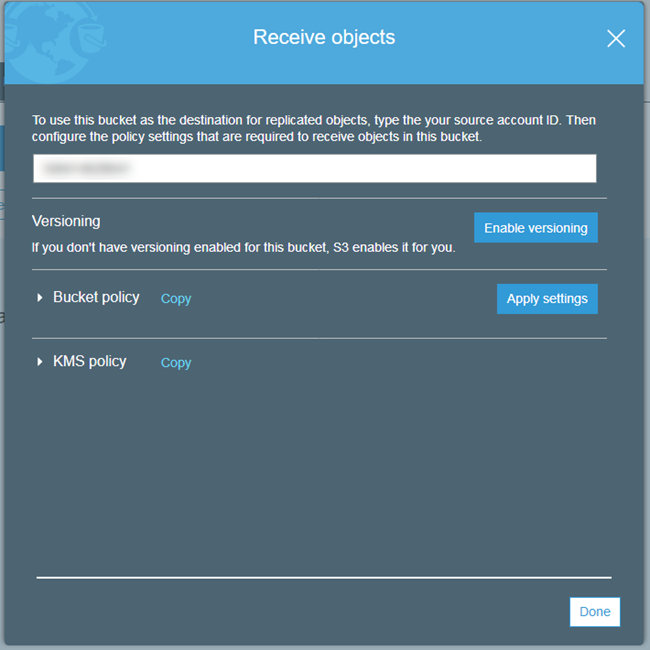 I see that S3 Server Side Encryption Settings metadata could be useful because I know that all of the objects in a certain bucket should be encrypted using AES256, and I’d like to be notified every time an object is uploaded that doesn’t match that attribute. 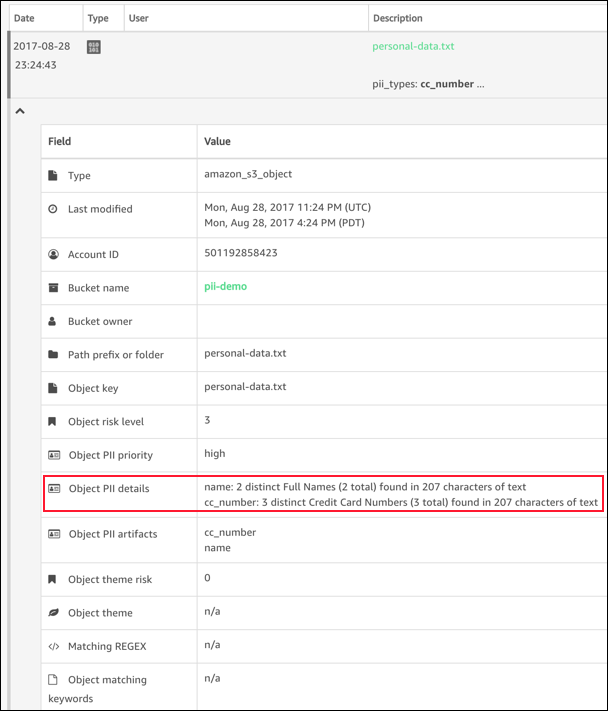 To create the query, I combine the server_encryption field and the bucket field to match on all S3 objects within the specified bucket. Note the forward slashes and “. *” that make this a regular expression search. This allows me to match all buckets that share my project name, even when the full bucket name is different. Next, I have a different bucket that I know should never have any objects which contain personally identifiable information (PII). This includes such information as names, email addresses, and credit card numbers. For the full list of what Macie considers PII, see Classifying Data with Amazon Macie. I’d like to set up an alert that notifies me every time an object containing any type of PII is added to this bucket. Since this is a data field that’s provided by Macie, I look under the Generated Fields heading and find the field pii_impact. I’m looking for all levels of PII impact, so my query will search for any value which isn’t equal to none. As before, I’ll combine this with the bucket field to include all S3 objects matching the bucket name. The S3 bucket data source contains information extracted from S3 bucket APIs, as well as fields that Macie generates by processing bucket metadata and access control lists (ACLs). Following the same method as before, I head over to the S3 Bucket Data Reference documentation and look for fields that will help me create useful alerts. There are plenty of fields which could be useful here, depending on how much information I know in advance about my bucket and which type of security vector I want to protect against. To narrow my search, I decide to add some protection against accidental or unauthorized data destruction. In the S3 Versioning section, I see that the Multi-Factor Authentication Delete settings are one of the available fields. Since I have this bucket locked down to only allow MFA delete actions, I can create an alert to notify me every time this delete action is disabled. 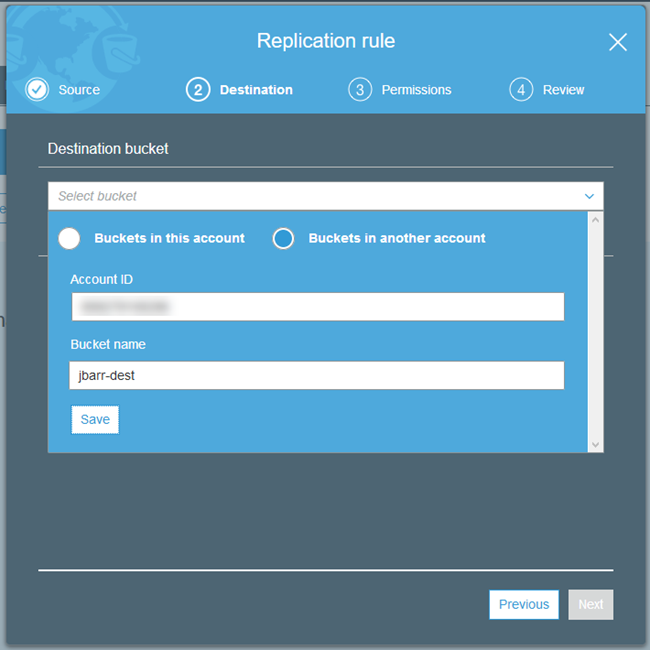 Another method of potential data destruction is through the bucket lifecycle expiration settings automatically removing data after a period of time. I’d like to know if someone changes this to a low number so I can make a modification and prevent losing any recent data. 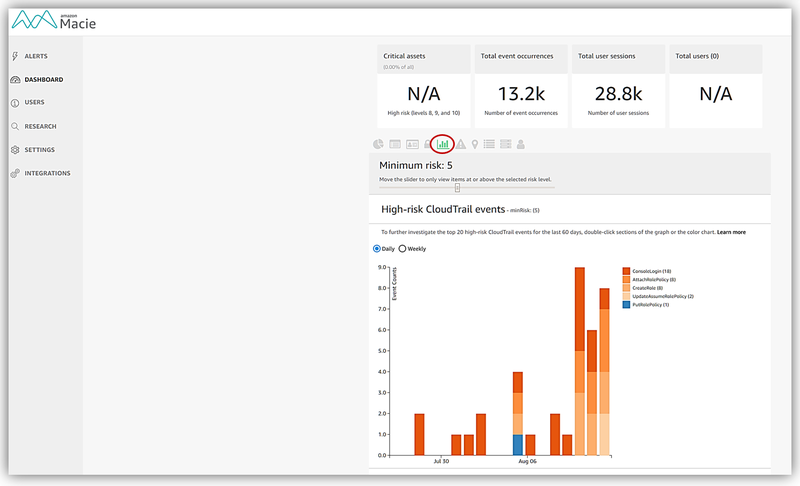 Now that I have gathered another set of potential alert queries, I can walk through the same steps I used for CloudTrail data to turn them into custom alerts. Once saved, I’ll begin to receive notifications in the Macie console whenever a match is found. I can view the alerts I’ve received by selecting Alerts from the Macie navigation pane. I described the various types and sources of data available in Macie. After demonstrating how to take a security use case and discover relevant fields, I stepped through the process of creating queries and turning them into custom alerts. My goal has been to show you how to build alerts that are tailored to your specific environment and solve your own individual needs. If you have comments about this post, submit them in the Comments section below. 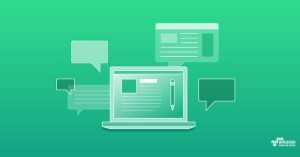 If you have questions about how to use Macie, or you’d like to request new fields and data sources, start a new thread on the Macie forum or contact AWS Support. Whether you want to review a Security, Compliance, & Identity track session you attended at AWS re:Invent 2017, or you want to experience a session for the first time, videos and slide decks from the Security, Compliance, & Identity track are now available. At AWS re:Invent 2017, the AWS Compliance team participated in excellent engagements with AWS customers about the General Data Protection Regulation (GDPR), including discussions that generated helpful input. 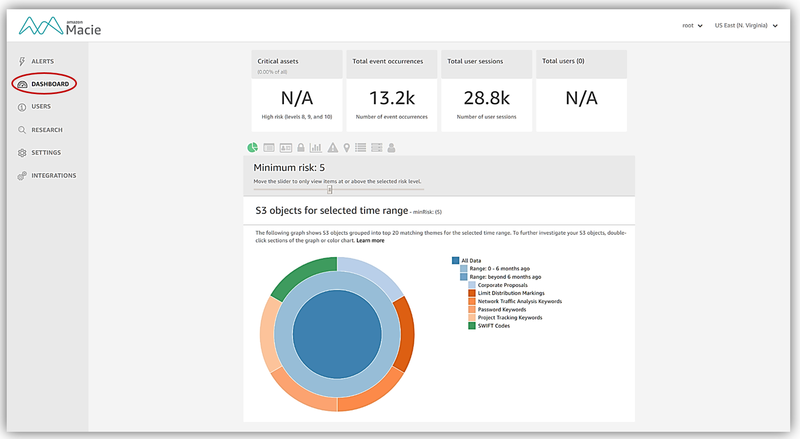 Today, I am announcing resulting enhancements to our recently launched GDPR Center and the release of a new whitepaper, Navigating GDPR Compliance on AWS. The resources available on the GDPR Center are designed to give you GDPR basics, and provide some ideas as you work out the details of the regulation and find a path to compliance. 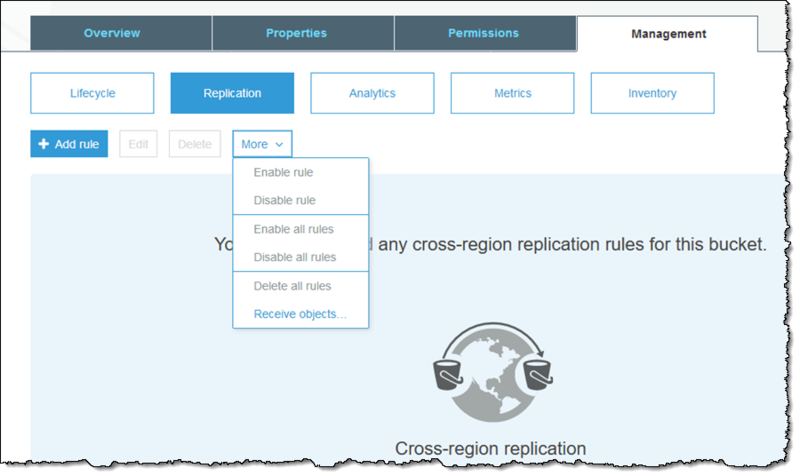 In this post, I focus on two of these new GDPR requirements in terms of articles in the GDPR, and explain some of the AWS services and other resources that can help you meet these requirements. 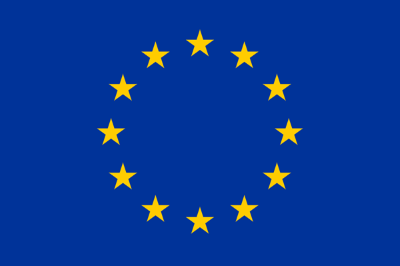 The GDPR is a European privacy law that will become enforceable on May 25, 2018, and is intended to harmonize data protection laws throughout the European Union (EU) by applying a single data protection law that is binding throughout each EU member state. The GDPR not only applies to organizations located within the EU, but also to organizations located outside the EU if they offer goods or services to, or monitor the behavior of, EU data subjects. All AWS services will comply with the GDPR in advance of the May 25, 2018, enforcement date. We are already seeing customers move personal data to AWS to help solve challenges in complying with the EU’s GDPR because of AWS’s advanced toolset for identifying, securing, and managing all types of data, including personal data. Steve Schmidt, the AWS CISO, has already written about the internal and external work we have been undertaking to help you use AWS services to meet your own GDPR compliance goals. Privacy by Design is the integration of data privacy and compliance into the systems development process, enabling applications, systems, and accounts, among other things, to be secure by default. To secure your AWS account, we offer a script to evaluate your AWS account against the full Center for Internet Security (CIS) Amazon Web Services Foundations Benchmark 1.1. You can access this public benchmark on GitHub. Additionally, AWS Trusted Advisor is an online resource to help you improve security by optimizing your AWS environment. Among other things, Trusted Advisor lists a number of security-related controls you should be monitoring. 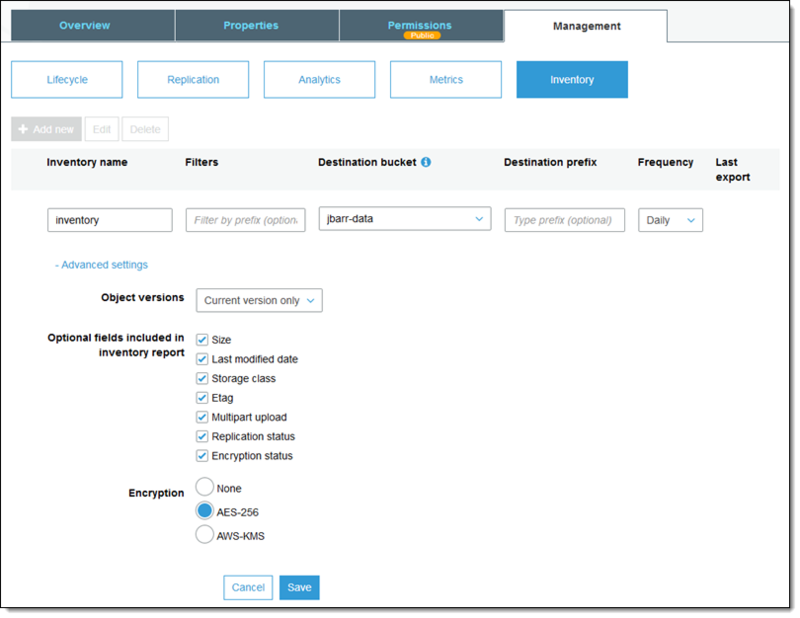 AWS also offers AWS CloudTrail, a logging tool to track usage and API activity. 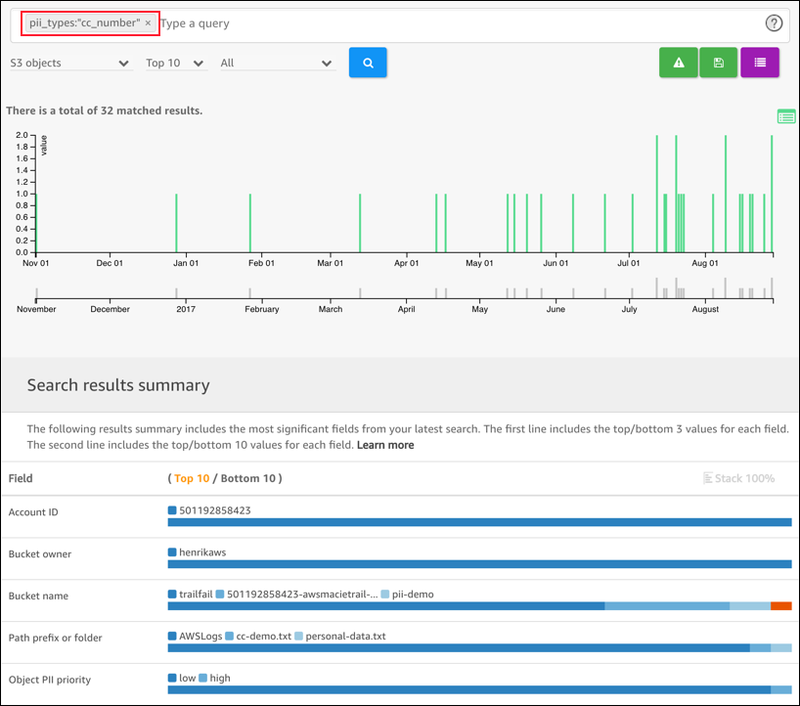 Another example of tooling that enables data protection is Amazon Inspector, which includes a knowledge base of hundreds of rules (regularly updated by AWS security researchers) mapped to common security best practices and vulnerability definitions. Examples of built-in rules include checking for remote root login being enabled or vulnerable software versions installed. These and other tools enable you to design an environment that protects customer data by design. An accurate inventory of all the GDPR-impacting data is important but sometimes difficult to assess. AWS has some advanced tooling, such as Amazon Macie, to help you determine where customer data is present in your AWS resources. Macie uses advanced machine learning to automatically discover and classify data so that you can protect data, per Article 25. You can use many AWS services and features to secure the processing of data regulated by the GDPR. 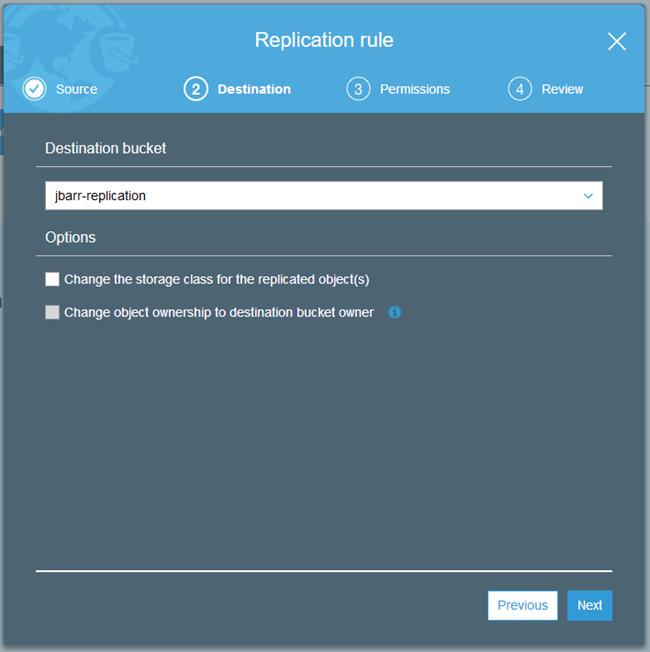 Amazon Virtual Private Cloud (Amazon VPC) lets you provision a logically isolated section of the AWS Cloud where you can launch resources in a virtual network that you define. You have complete control over your virtual networking environment, including the selection of your own IP address range, creation of subnets, and configuration of route tables and network gateways. 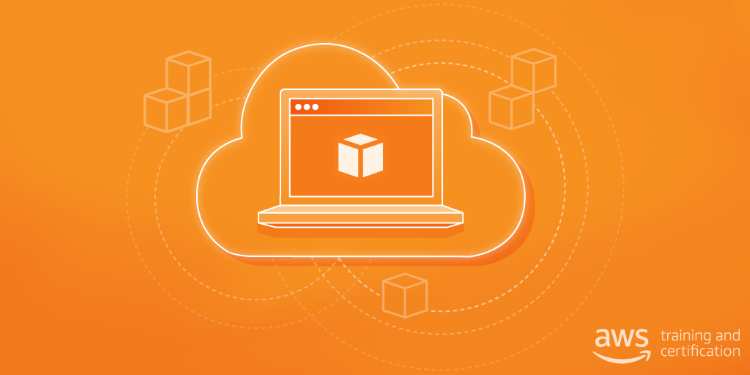 With Amazon VPC, you can make the Amazon Cloud a seamless extension of your existing on-premises resources. 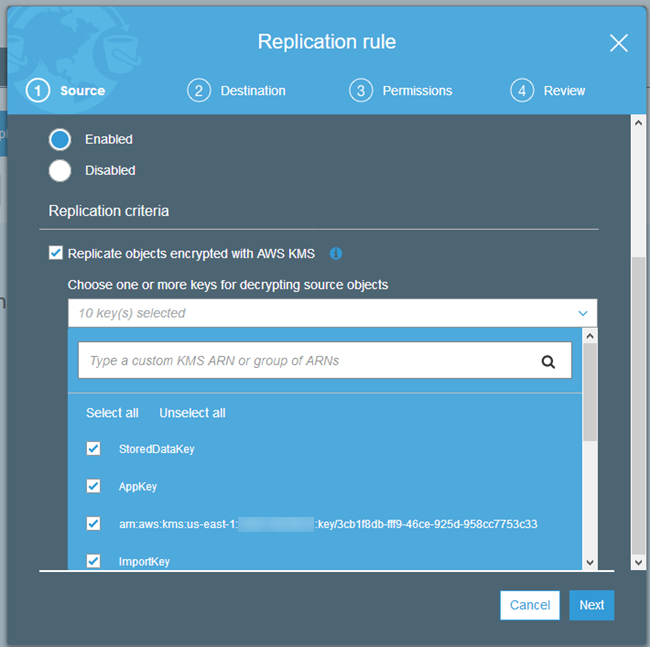 AWS Key Management Service (AWS KMS) is a managed service that makes it easy for you to create and control the encryption keys used to encrypt your data, and uses hardware security modules (HSMs) to help protect your keys. 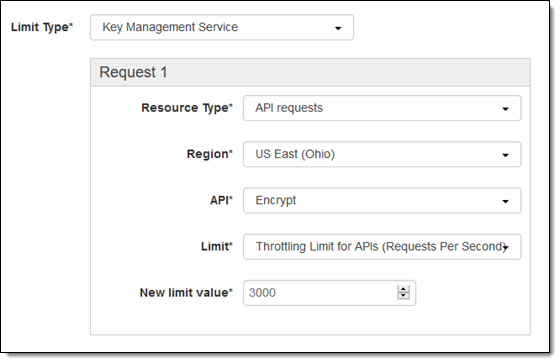 Managing keys with AWS KMS allows you to choose to encrypt data either on the server side or the client side. AWS KMS is integrated with several other AWS services to help you protect the data you store with these services. AWS KMS is also integrated with CloudTrail to provide you with logs of all key usage to help meet your regulatory and compliance needs. 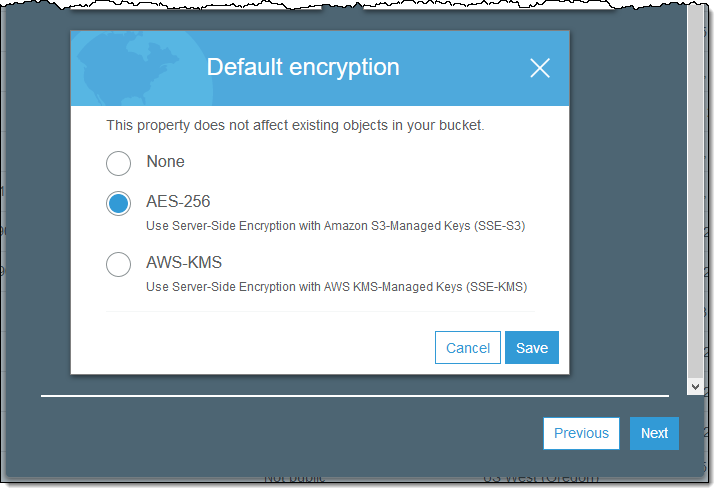 You can also use the AWS Encryption SDK to correctly generate and use encryption keys, as well as protect keys after they have been used. We also recently announced new encryption and security features for Amazon S3, including default encryption and a detailed inventory report. Services of this type as well as additional GDPR enablers will be published regularly on our GDPR Center. 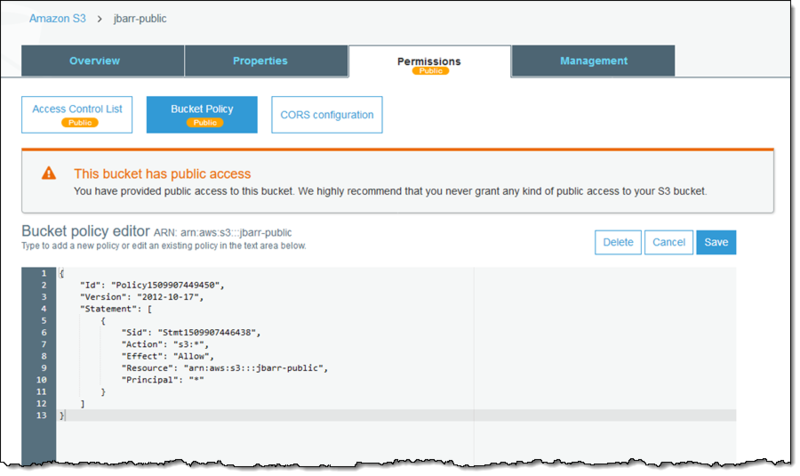 As you prepare for GDPR, you may want to visit our AWS Customer Compliance Center or Tools for Amazon Web Services to learn about options for building anything from small scripts that delete data to a full orchestration framework that uses AWS Code services. SID309-R2: Credentials, Credentials, Credentials, Oh My! I’m pleased to announce that today we’ve launched a new security service, Amazon Macie. This service leverages machine learning to help customers prevent data loss by automatically discovering, classifying, and protecting sensitive data in AWS. Amazon Macie recognizes sensitive data such as personally identifiable information (PII) or intellectual property, providing customers with dashboards and alerts that give visibility into how data is being accessed or moved. This enables customers to apply machine learning to a wide array of security and compliance workloads, we think this will be a significant enabler for our customers. 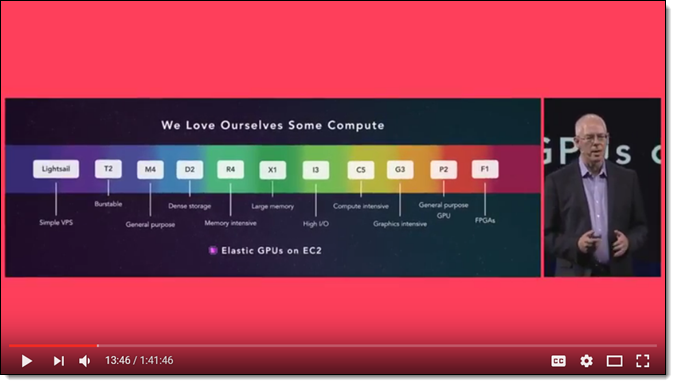 To learn more about the see the full AWS Blog post. When Jeff and I heard about this service, we both were curious on the meaning of the name Macie. Of course, Jeff being a great researcher looked up the name Macie and found that the name Macie has two meanings. It has both French and English (UK) based origin, it is typically a girl name, has various meanings. The first meaning of Macie that was found, said that that name meant “weapon”. The second meaning noted the name was representative of a person that is bold, sporty, and sweet. In a way, these definitions are appropriate, as today I am happy to announce that we are launching Amazon Macie, a new security service that uses machine learning to help identify and protect sensitive data stored in AWS from breaches, data leaks, and unauthorized access with Amazon Simple Storage Service (S3) being the initial data store. Therefore, I can imagine that Amazon Macie could be described as a bold, weapon for AWS customers providing a sweet service with a sporty user interface that helps to protects against malicious access of your data at rest. Whew, that was a mouthful, but I unbelievably got all the Macie descriptions out in a single sentence! Nevertheless, I am a thrilled to share with you the power of the new Amazon Macie service. Data Security Automation: analyzes, classifies, and processes data to understand the historical patterns, user authentications to data, data access locations, and times of access. How does Amazon Macie accomplish this you ask? 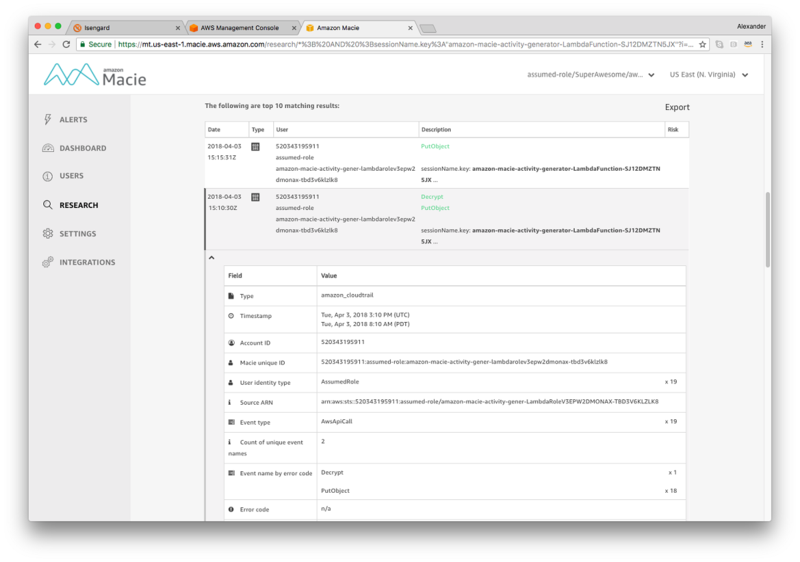 Using machine learning algorithms for natural language processing (NLP), Macie can automate the classification of data in your S3 buckets. 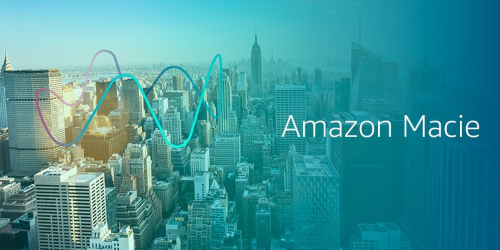 In addition, Amazon Macie takes advantage of predictive analytics algorithms enabling data access patterns to be dynamically analyzed. Learnings are then used to inform and to alert you on possible suspicious behavior. Macie also runs an engine specifically to detect common sources of personally identifiable information (PII), or sensitive personal information (SP). 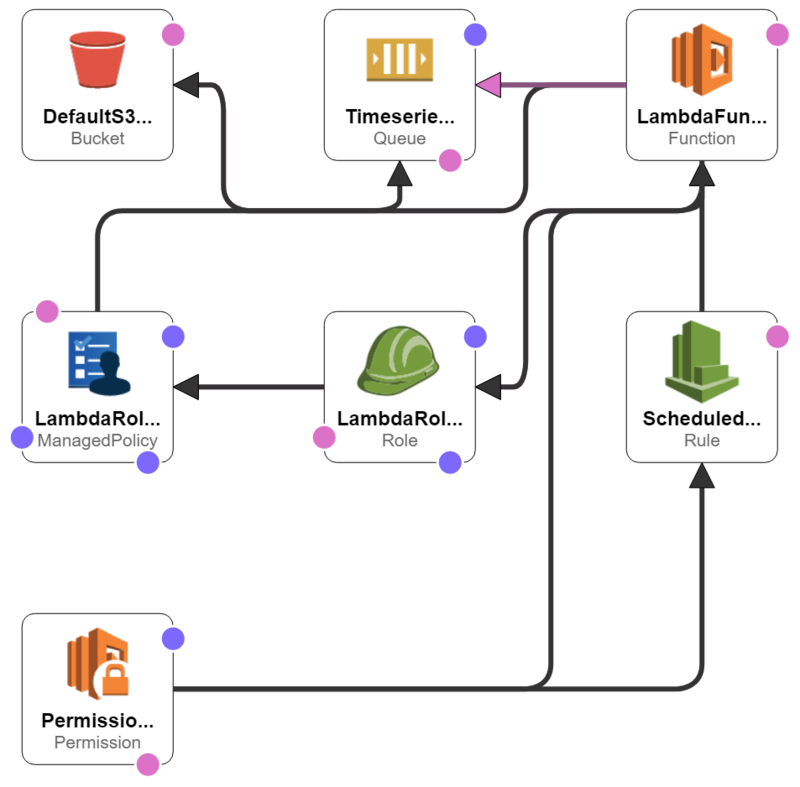 Macie takes advantage of AWS CloudTrail and continuously checks Cloudtrail events for PUT requests in S3 buckets and automatically classify new objects in almost real time. 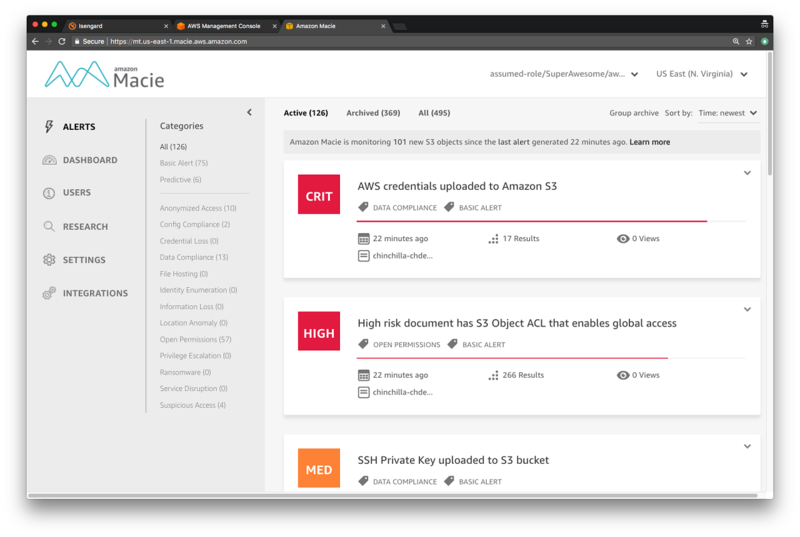 While Macie is a powerful tool to use for security and data protection in the AWS cloud, it also can aid you with governance, compliance requirements, and/or audit standards. Many of you may already be aware of the EU’s most stringent privacy regulation to date – The General Protection Data Regulation (GDPR), which becomes enforceable on May 25, 2018. As Amazon Macie recognizes personally identifiable information (PII) and provides customers with dashboards and alerts, it will enable customers to comply with GDPR regulations around encryption and pseudonymization of data. 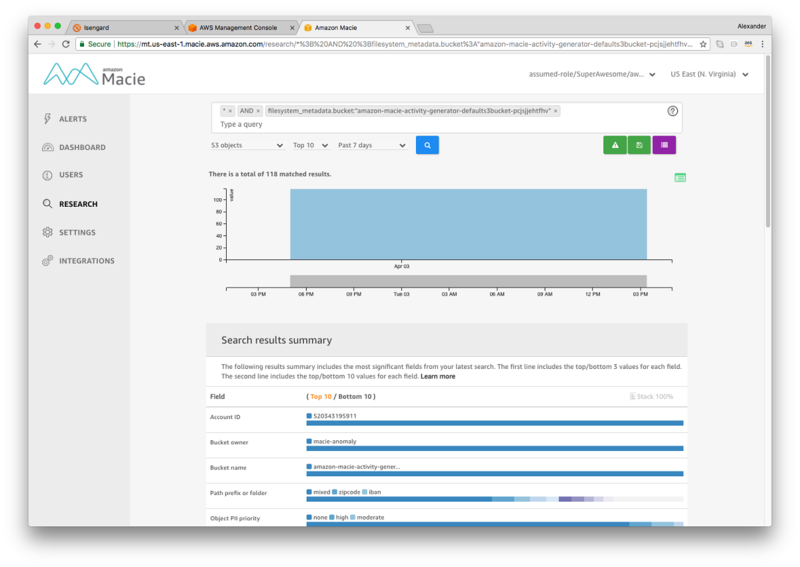 When combined with Lambda queries, Macie becomes a powerful tool to help remediate GDPR concerns. Let’s look a tour of the service and look at Amazon Macie up close and personal. First, I will log onto the Macie console and start the process of setting up Macie so that I can start to my data classification and protection by clicking the Get Started button. As you can see, to enable the Amazon Macie service, I must have the appropriate IAM roles created for the service, and additionally I will need to have AWS CloudTrail enabled in my account. 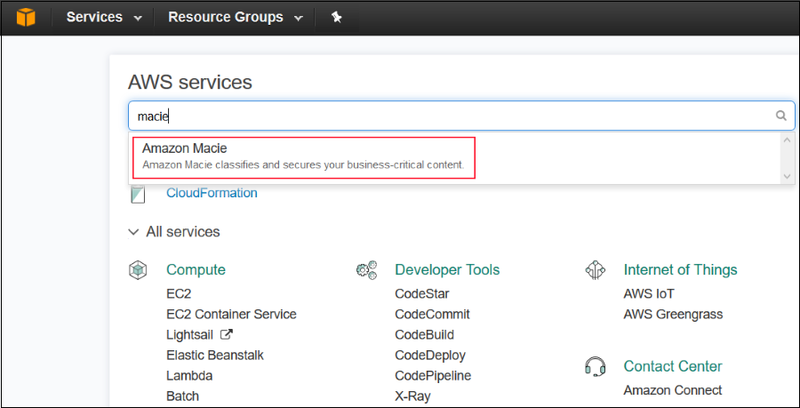 I will create these roles and turn on the AWS CloudTrail service in my account. To make things easier for you to setup Macie, you can take advantage of sample template for CloudFormation provided in the Macie User Guide that will set up required IAM roles and policies for you, you then would only need to setup a trail as noted in the CloudTrail documentation. If you have multiple AWS accounts, you should note that the account you use to enable the Macie service will be noted as the master account, you can integrate other accounts with the Macie service but they will have the member account designation. Users from member accounts will need to use an IAM role to federate access to the master account in order access the Macie console. Now that my IAM roles are created and CloudTrail is enabled, I will click the Enable Macie button to start Macie’s data monitoring and protection. Once Macie is finished starting the service in your account, you will be brought to the service main screen and any existing alerts in your account will be presented to you. Since I have just started the service, I currently have no existing alerts at this time. Considering we are doing a tour of the Macie service, I will now integrate some of my S3 buckets with Macie. 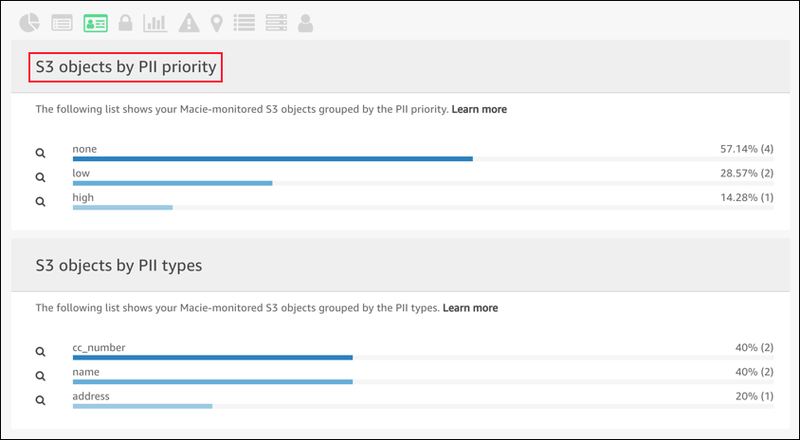 However, you do not have to specify any S3 buckets for Macie to start monitoring since the service already uses the AWS CloudTrail Management API analyze and process information. With this tour of Macie, I have decided to monitor some object level API events in from certain buckets in CloudTrail. In order to integrate with S3, I will go to the Integrations tab of the Macie console. Once on the Integrations tab, I will see two options: Accounts and Services. The Account option is used to integrate member accounts with Macie and to set your data retention policy. Since I want to integrate specific S3 buckets with Macie, I’ll click the Services option go to the Services tab. When I integrate Macie with the S3 service, a trail and a S3 bucket will be created to store logs about S3 data events. To get started, I will use the Select an account drop down to choose an account. Once my account is selected, the services available for integration are presented. I’ll select the Amazon S3 service by clicking the Add button. Now I can select the buckets that I want Macie to analyze, selecting the Review and Save button takes me to a screen which I confirm that I desire object level logging by clicking Save button. Next, on our Macie tour, let’s look at how we can customize data classification with Macie. As we discussed, Macie will automatically monitor and classify your data. Once Macie identifies your data it will classify your data objects by file and content type. Macie will also use a support vector machine (SVM) classifier to classify the content within S3 objects in addition to the metadata of the file. In deep learning/machine learning fields of study, support vector machines are supervised learning models, which have learning algorithms used for classification and regression analysis of data. Macie trained the SVM classifier by using a data of varying content types optimized to support accurate detection of data content even including the source code you may write. Macie will assign only one content type per data object or file, however, you have the ability to enable or disable content type and file extensions in order to include or exclude them from the Macie service classifying these objects. Once Macie classifies the data, it will assign risk level of the object between 1 and 10 with 10 being the highest risk and 1 being the lowest data risk level. To customize the classification of our data with Macie, I’ll go to the Settings Tab. I am now presented with the choices available to enable or disable the Macie classifications settings. For an example during our tour of Macie, I will choose File extension. When presented with the list of file extensions that Macie tracks and uses for classifications. As a test, I’ll edit the apk file extension for Android application install file, and disable monitoring of this file by selecting No – disabled from the dropdown and clicking the Save button. Of course, later I will turn this back on since I want to keep my entire collection of data files safe including my Android development binaries. One last thing I want to note about data classification using Macie is that the service provides visibility in how you data object are being classified and highlights data assets that you have stored regarding how critical or important the information for compliance, for your personal data and for your business. Now that we have explored the data that Macie classifies and monitors, the last stop on our service tour is the Macie dashboard. The Macie Dashboard provides us with a complete picture of all of the data and activity that has been gathered as Macie monitors and classifies our data. The dashboard displays Metrics and Views grouped by categories to provide different visual perspectives of your data. 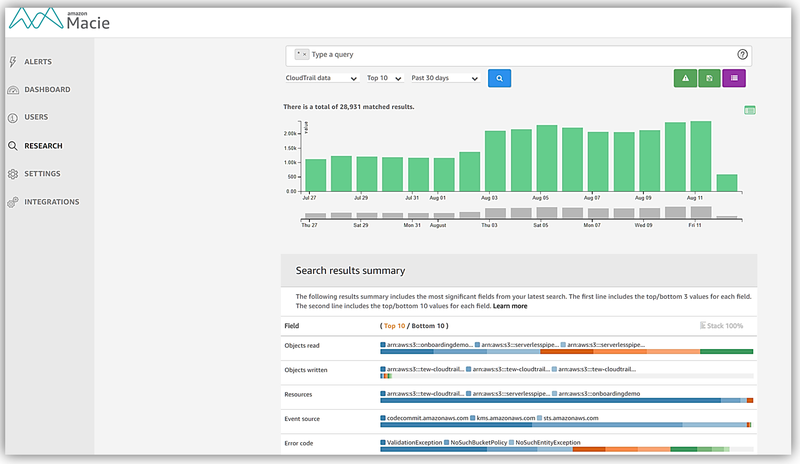 Within these dashboard screens, you also you can go from a metric perspective directly to the Research tab to build and run queries based on the metric. 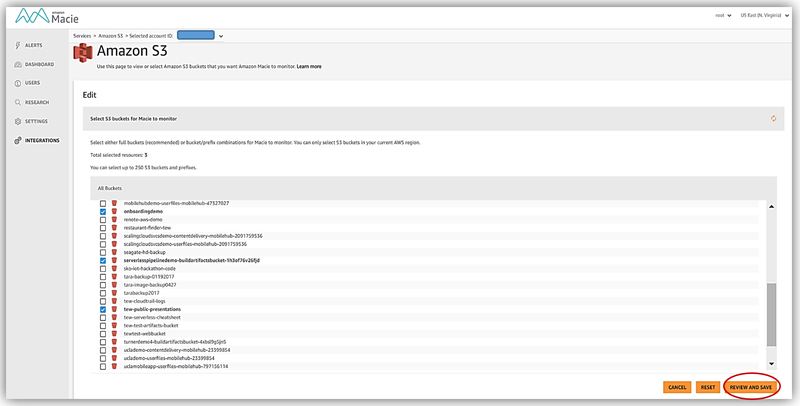 These queries can be used to set up customized alerts for notification of any possible security issues or problems. We won’t have an opportunity to tour the Research or Alerts tab, but you can find out more information about these features in the Macie user guide. Turning back to the Dashboard, there are so many great resources in the Macie Dashboard that we will not be able to stop at each view, metric, and feature during our tour, so let me give you an overview of all the features of the dashboard that you can take advantage of using. High-risk S3 objects: data objects with risk levels of 8 through 10. Well, that concludes our tour of the new and exciting Amazon Macie service. 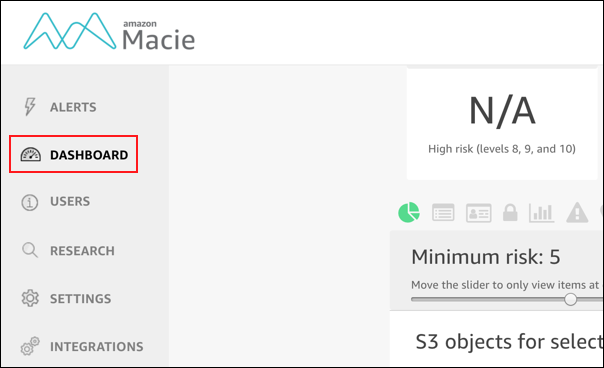 Amazon Macie is a sensational new service that uses the power of machine learning and deep learning to aid you in securing, identifying, and protecting your data stored in Amazon S3. Using natural language processing (NLP) to automate data classification, Amazon Macie enables you to easily get started with high accuracy classification and immediate protection of your data by simply enabling the service. The interactive dashboards give visibility to the where, what, who, and when of your information allowing you to proactively analyze massive streams of data, data accesses, and API calls in your environment. Learn more about Amazon Macie by visiting the product page or the documentation in the Amazon Macie user guide.